If you own and enjoy riding a mountain bike then there are a few modifications that you can do to make it lighter and easier to handle. The main goal is to make the bike as light as possible without jeopardising the integrity and strength. Often, while biking you have to lift it off the ground to avoid rocks and ditches on a trail. Making your mountain bike lighter is not difficult but it will cost a decent amount of money. If you are looking to make your mountain bike lighter then there are some simple methods that you can use. Make sure that you understand your budget as many of these lighter parts will be expensive. Try to stay within your budget and do not overspend. 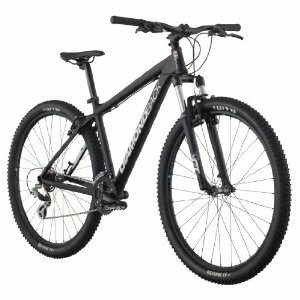 You will find a lot of competitively priced parts available for your mountain bike. Take a good look at your mountain bike and try to determine which parts are the heaviest. This is usually the pedals and tires. Make a list of all the parts that you feel are heavy as you will have to replace these parts with lightweight versions. Find a professional bike shop that stocks all different parts for your mountain bike. Try to find more than shop so that you can compare different prices for various parts. Be sure that the shop is reputable and well known. Always talk to the customer service representative if have any questions about a particular part. Remove your current seat and find a lightweight version that suits you. There are many different brands and styles to choose from. It should be strong enough to support your weight but still be light to reduce the overall weight of the mountain bike. You might want to also change the seat pole with a lightweight version. Get a new set of tires that are strong but light. This can cost a little bit of money but it will dramatically reduce the weight of your mountain bike. Remember that there are a lot of varieties of tires to choose from so try to stay within you budget. Pedals are also usually quite heavy and replacing them with lighter ones will help bring the weight of your mountain bike down. Be sure to pick pedals that are strong and can take some abuse. If you have a decent budget then you can look into carbon fibre parts for your mountain bike. These parts are extremely strong but really lightweight. However, they do cost a lot so make sure it is something that you want to invest in.